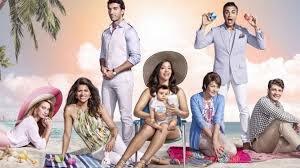 Jane The Virgin Season 5 has been officially renewed by CW. It's not so good now: this is the final season of the show. The end of last season left us with a ton of cliffhangers. First and foremost: Michael is back. It’s not an evil twin, but EP Jennie Urman is still leaving the door open for some other shenanigans. She says we’ll have our answer very quickly in the Jane the Virgin season 5 premiere, which picks up pretty much immediately after the end of last season. Is this more of Sinrostro’s identity-stealing madness, in an effort to be with Luisa? I can’t see how, but we do know that Rose is the one who told Rafael about Michael, or whoever it is that looks exactly like Michael. Now if Michael is suddenly not dead, in spite of his season 3 death, does that mean he and Jane are still legally married? What about all that time Jane spent processing her feelings – the boxing, the book writing, and oh yeah, her whole relationship with Rafael? When we last saw them, Rafael and Jane had found the perfect apartment and Rafael was about to propose. He even got permission from Xo, Alba, and Rogelio! Will Rafael even tell Jane he was going to propose, or will he step back in an ill-fated attempt to do what’s right? Will Rogelio faint when he sees his bestie back from the dead? Will sales of Jane’s book about her and Michael’s love story skyrocket when people find out he’s alive after all? And why is Michael alive? Deep undercover seems like the most realistic option but having all his friends and family think he died is brutal. According to star Gina Rodriguez, we can expect those old #TeamMichael feelings to come flooding back, because Jane the Virgin season 5 is going back to basics and bringing everything back to the original love triangle. The rest of the cast had their own explosive endings, too. In a fun twist on the famous Dallas cliffhanger, one of the biggest in soap history, we still don’t know who JR shot – could it be Petra, or Petra’s unseen attacker? EP Jennie Snyder Urman says it’s someone Petra knows, but it’s not Magda. Straight out of a telenovela, right? And not to keep bringing it back to Michael, but Petra, Rafael and Jane worked hard to figure out the dynamic for their blended family, including adding JR – what will happen when Michael comes back into the mix? When we last saw Xiomara, she was going through chemotherapy for her cancer and doing her best to support Rogelio for his show with River Fields, guest star Brooke Shields. Alba just became a citizen and then married Jorge to help him stay in the country – in spite of their last two failed marriage proposals. Alba is safe, but is her heart? And what if she’s found to be committing fraud? Obviously if anything bad happens to Alba or Xo, we riot. 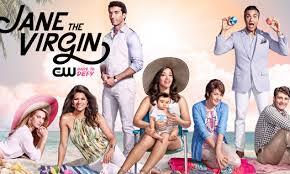 You can expect all of your old favorites to return – Gina Rodriguez stars and Jane Villanueva and Justin Baldoni as Rafael Solano. Obviously the big news is that Brett Dier (Michael) is returning to the cast. For those who have seen the ads for Dier’s new comedy Unschooled, not to worry! Dier is definitely still involved in Jane the Virgin Season 5. Brooke Shields will continue her guest spot as Rafael’s frenemy-turned-costar River Fields. This season they will be shooting their pilot of the American version of The Passions of Santos. Time for Rogelio to finally make his crossover! In other narrator news, it sounds like Jane Villanueva might be assuming the role of narrator in the upcoming Jane the Virgin spinoff show! अब अगर माइकल अचानक मृत नहीं हुआ, तो उसकी सीज़न 3 मौत के बावजूद, क्या इसका मतलब यह है कि वह और जेन अभी भी कानूनी रूप से शादीशुदा हैं? उस समय के बारे में क्या जेन ने अपनी भावनाओं को संसाधित किया - बॉक्सिंग, पुस्तक लेखन, और ओह, हाँ, राफेल के साथ उसका पूरा संबंध? जब हमने आखिरी बार उन्हें देखा था, राफेल और जेन ने सही अपार्टमेंट पाया था और राफेल को प्रपोज़ करने वाला था। उसे भी Xo, अल्बा और रोगेलियो से अनुमति मिली! बाकी कलाकारों की अपनी विस्फोटक समाप्ति भी थी। इतिहास के इतिहास में सबसे बड़े में से एक, प्रसिद्ध डलास क्लिफहेंजर पर एक मजेदार मोड़ में, हमें अभी भी नहीं पता है कि जूनियर ने किस पर गोली चलाई - क्या यह पेट्रा, या पेट्रा का अनदेखी हमलावर हो सकता है? ईपी जेनी स्नाइडर उरमान कहते हैं कि यह कोई पेट्रा जानता है, लेकिन यह मागदा नहीं है सीधे टेलीनोवेला से बाहर, है ना? और नहीं, बल्कि पेट्रा, राफेल और जेन ने अपने मिश्रित परिवार के लिए गतिशील का पता लगाने के लिए कड़ी मेहनत की है, जिसमें जेआर को भी शामिल किया गया है - जब माइकल मिश्रण में वापस आएगा तो क्या होगा? ब्रुक शील्ड्स अपने अतिथि स्थान को राफेल के उन्मादी दुश्मन बने रिवर फील्ड्स के रूप में बढ़ावा देती रहेगी। इस सीज़न में वे द पैशन ऑफ़ सैंटोस के अमेरिकी संस्करण के अपने पायलट की शूटिंग करेंगे। रोजेलियो को अपना क्रॉसओवर बनाने का समय! एक अन्य कास्ट सदस्य एक विशेष ... उपस्थिति बना देगा फैंस ने लंबे समय तक जेन द वर्जिन पर बयान दिया है, और सीजन 5 में आखिरकार उनकी पहचान उजागर हो जाएगी! कार्यकारी निर्माता जेनी उरमान ने कहा कि रहस्य का खुलासा किया जाएगा, "श्रृंखला के अंत में," और "अंतिम दृश्यों का हिस्सा।"
अन्य कथा समाचार में, ऐसा लगता है कि जेन विलानुएवा आगामी वर्तनी शो में कथाकार की भूमिका निभा सकते हैं!